Your couch is one piece of furniture that you crave for after a hard day’s work. Your cozy couch is the perfect place for you to unwind. It can become a nightmare when it comes to cleaning. You need to keep your couch clean for longer durability and overall hygienic grounds. Even for you to snuggle, the couch should be kept clean. Fabric couches has the tendency to attract dust and dirt and this is why Fabric Couch Cleaning should always be carried out by the experts. The process of sofa cleaning to follow is simple in its way and we are here to help you meet it. The point that you need to find out before cleaning is to identify the material. It is often displayed on the tag and things that you can and can’t do with it. Never deviate from the instructions given on the tag. For example, if your sofa tag is marked an “X”, it means you can only vacuum it using an attachment. Once you identify the material you are then ready to clean it. If you intend to clean the entire couch, first spot test a hidden area to check the damage, if any, of the fabric. Professional Sofa Cleaning Melbourne services have the expertise to deal with different types of stains on all types of fabrics. Use Baking Soda – first you need to wipe the couch using a clean and dry cloth, preferably microfiber. Properly brush down the nook and crannies, to remove crumbs and dirt stuck in there. Do not use coloured cloth as sometimes colour tends to transfer onto the couch. Then sprinkle baking soda on your couch and leave it for half an hour. For deep cleaning, you can mix it with your carpet cleaner. Baking soda is useful to release any stain and break the stains in the fabric. You can also prepare a home-made solution of warm water, baking soda and vinegar and apply it on the affected area. A gentle rub should do the trick. Vacuum the couch – allow it to dry and then thoroughly vacuum the baking soda with a brush attachment. This removes dirt from the surface. Spot clean – if any stubborn stain remains, with a clean cloth and cleaning material which is best suited for your fabric. There is always some amount of dirt accumulated in the fabric. Use vacuum to deep clean it. For a higher degree of cleanliness, you may go for steam based devices. 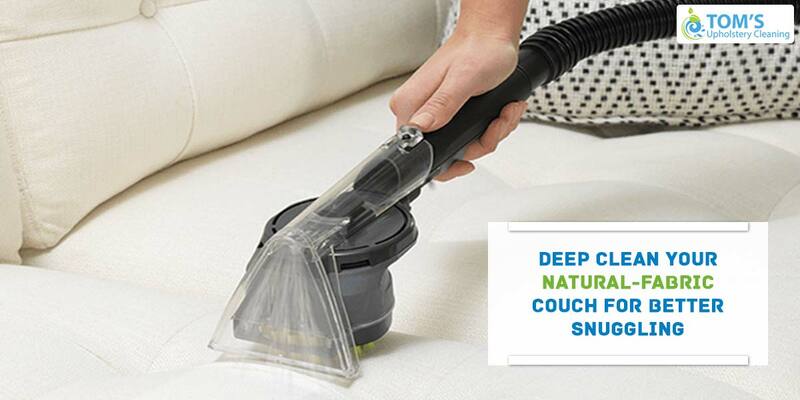 Vacuum your sofa before and after steaming. Open the window and let the fresh air enter. Point the fan in the direction of the couch after steaming to dry it completely. Dump the water in the steamer after it had cooled down. 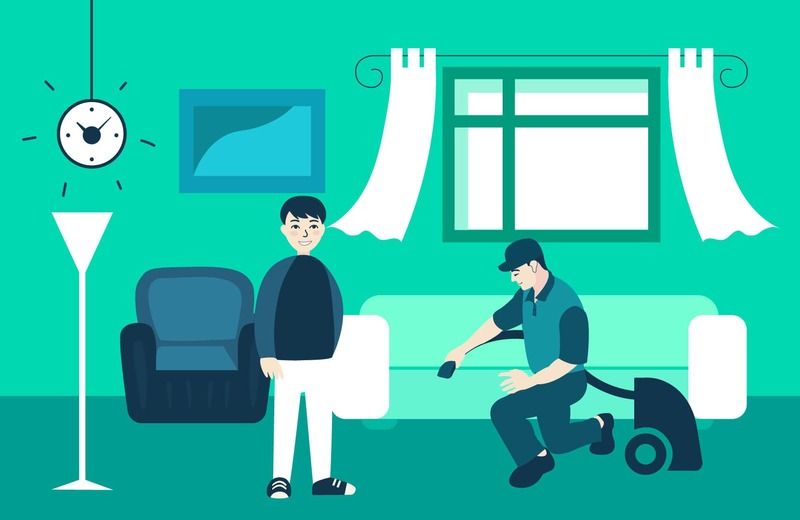 There are professional Sofa Cleaners in Melbourne, who use latest technology to heat up the sofa forcing the dust on the surface without exerting much force. It also avoids possible damage. Take help from these Fabric Couch cleaning services and get the best result.